1. Owner requests the Seneca yacht Club to rent space for the above described boat at the Seneca Yacht Club, Inc. for the summer season. Lessee agrees to pay as rental for the dock/slip the sum indicated which shall permit the Lessee the exclusive right to occupy the dock/slip for one rental season. A rental season for the purpose of this Agreement shall commence May 1, 2017 and end October 1, 2017. The non-refundable rental is payable in advance for the entire season. A 50% deposit must be paid upon execution of this contract, and the remaining balance must be paid by January 1, 2017. 2. Seneca Yacht Club, Inc. reserves the right to terminate this Lease at any time for any reason and Lessee agrees to remove the boat from the dock/slip within five (5) days from the receipt of such notice of termination. The Seneca Yacht Club, Inc. Agrees to refund that part of the rental which the Lessee has paid for the balance of the rental season computed on a prorated basis, after deducting such cost and expenses as may be incurred by Seneca Yacht Club, Inc. which are to be paid by the Lessee as herein provided. 3. The Lessee agrees to remove the boat on or before the last day of the rental season (i.e. October 1) or within five (5) days from the receipt of notice of termination as provided above. In the event the Lessee fails to remove the boat as herein provided, Seneca Yacht Club, Inc., or its agents, may take possession of the boat and cause it to be removed for storage at such place as may be convenient for Seneca Yacht Club, Inc. Lessee hereby appoints Seneca Yacht Club, Inc. As its duly authorized agent with complete Power of Attorney to remove the boat or cause it to be stored as herein provided. The Lessee agrees to pay all costs and expenses incurred by Seneca Yacht Club, Inc. In removing the boat and causing it to be stored and all expenses, including attorney’s fees, in collecting such costs and expenses from the Lessee. 4. Neither Seneca Yacht Club, Inc. Nor its agents shall be liable for damages to the Lessee, its agents, servants or guests, or any person claiming through Lessee, for injury to person or damages to a loss of property wherever located from any cause or for damage claimed for removal of the boat as herein provided or for eviction, actual or constructive. This provision includes particularly, but not exclusively, all claims arising from rain damage, unlocked boats, storms and vandalism. Lessee shall furnish proof of insurance for their boat to the Seneca Yacht Club, Inc. Liability coverage shall be at least in the amount of $300,000. 5. 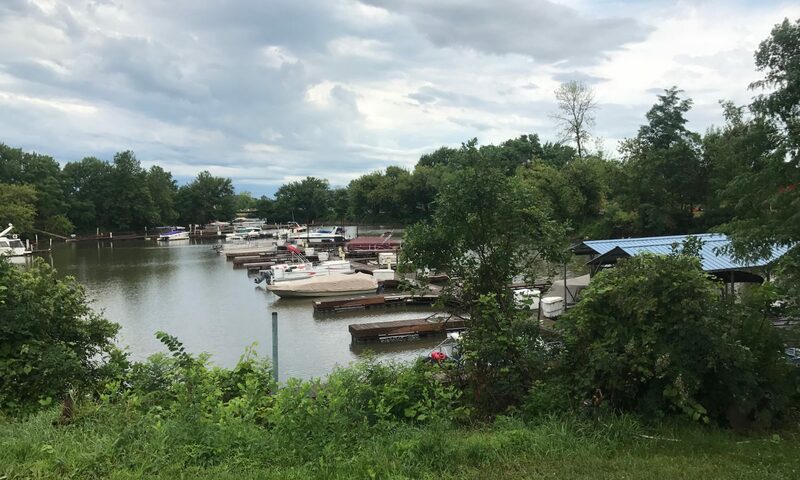 Lessee agrees to hold Seneca Yacht Club, Inc. harmless from any claims or liabilities arising out of any occurrences as a result of this Agreement. Seneca Yacht Club, Inc. is not responsible for lost or damage go boat, contents, or equipment. Seneca Yacht Club, Inc. is not liable for losses due to electric power failure. 6. Lessee shall be responsible for any and all damage done to the property, guests, customers agents, servants, and other lessees of the Seneca Yacht Club, Inc. By the Lessee, its agents, pets, servants, guests or any person on the premises because of the Lessee. 7. This lease is not assignable by the Lessee and Lessee may not sublet the dock/slip without the written consent of Seneca Yacht Club, Inc.
8. Lessee agrees to comply with all the rules and regulations established by Seneca Yacht Club, Inc.
9. Seneca Yacht Club, Inc. reserves the right to move the boats within the harbor to facilitate dredging, painting, dock repair, etc. 10.Seneca Yacht Club, Inc. Reserves the right to use any vacant dock on a transient basis. 11.Only the boat listedin the Agreement shall be docked at the assigned rental slip. 13.No fixtures or improvements may be attached to the docks without the prior permission of the Seneca Yacht Club, Inc.
14.Three wire grounded cable ONLY shall be used to connect to the 110-volt circuits provided. No permanent plugs are to be installed on the docks without written permission of Seneca Yacht Club, Inc. If permission is granted, work must conform to state and county electrical codes. 15. Holding tanks or heads cannot be discharged into the harbor. 16.Seneca Yacht Club, Inc. Reserves the right to inspect all boats for toilets conforming to state and county ordinance. 17.NO OPEN FIRES are allowed on docks at any time. 18. FUELING BOATS OR JETS SKIS at docks is FORBIDDEN. This WILL BE CAUSE for terminating this lease agreement. 19. Outside contractor or labor for hire must have prior permission from Seneca Yacht Club, Inc. Outside contractors must submit a certificate of insurance coverability and workmen’s compensationbefore permission will be considered. 20.FOR SALE signs, advertising signs, or other postings cannot be placed on boats or property in the marina without the permission of the Seneca Yacht Club, Inc.
21.Failure to pay for any work, labor, or materials supplied at owners request, Seneca Yacht Club, Inc. shall have a lien placed on the boat, motor, and equipment, and may, (but need not) sell the boat, motor, and equipment at public sale to highest bidder for cash, and shall, after deducting from the proceeds of sale all its charges for labor and materials, expenses of sale, including reasonable attorneys’ fees, render the overplus, if any, to owner. 22.No swimming or fishing is permitted within the marina or its channels. 23.PETS MUST BE kept on a leash or on board. It is the owner’s responsibility to pick up immediately after their animal. I HAVE READ ALL OF THE RULES AND AGREE TO THEM.